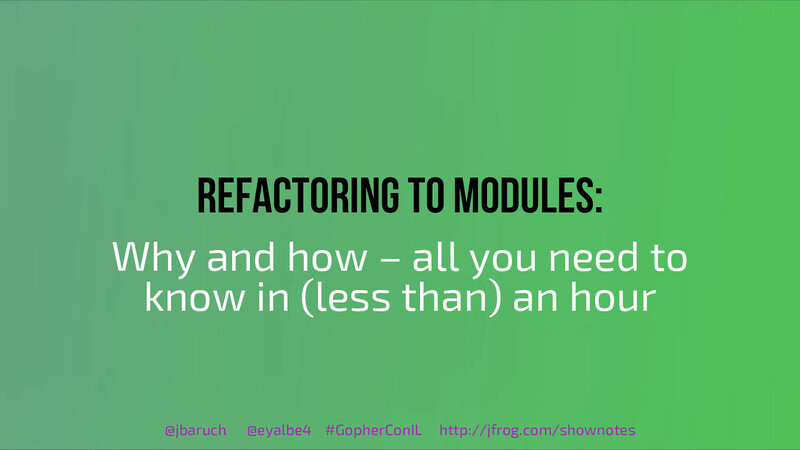 In this talk, we’ll examine the refactoring of the JFrog CLI project to modules. We’ll start by introducing modules – why and how, will talk about the benefits and the downsides of using modules and the difference between modules and go-dep. Next, we’ll review the changes switching to modules require and will finish up by reviewing the real-world application, before and after.